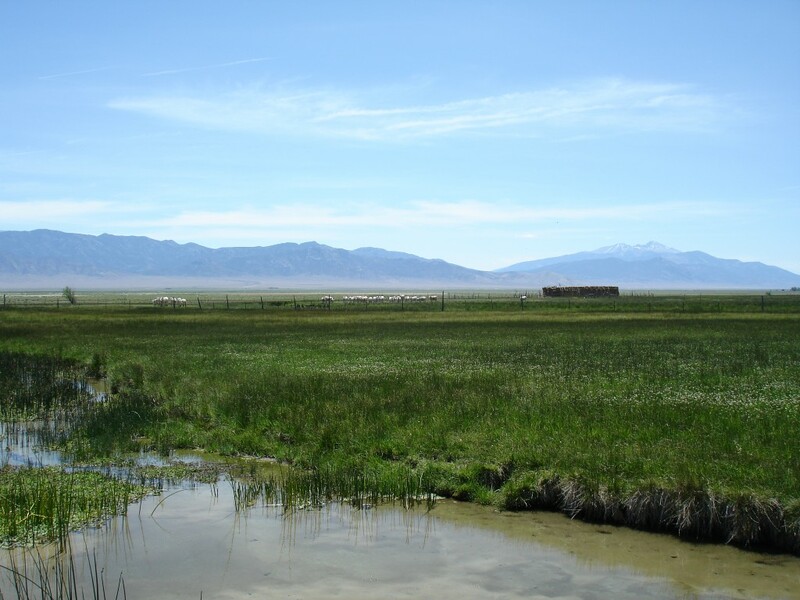 Omnibus hearings before the State Engineer of Nevada that will decide the fate of Las Vegas’s bid to tap the groundwater of four valleys in the Great Basin begin Monday, September 26th in Carson City. If you can’t be there, you can still see there. Click here for webcasts and here for a schedule of witnesses, beginning with the Southern Nevada Water Authority, then following with representatives from ranches, Utah’s Millard County, the Great Basin Water Network, the Long Now Foundation, the Church of Latter Day Saints and the Confederated Tribes of the Goshute. Expect to hear the Southern Nevada Water Authority argue that it needs rural water to keep Las Vegas the economic motor of Nevada, and protestants to dwell on the devastation that broad-scale groundwater pumping would bring the Great Basin. The hearings were ordered after previous awards for Las Vegas from Cave, Dry Lake, Delamar and Spring (above) valleys were voided on grounds that protestants were denied due process and a previous state engineer had not competently assessed native reserves of groundwater.